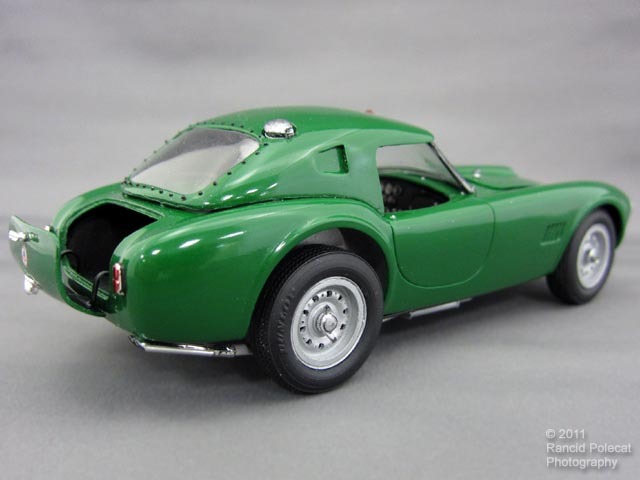 Historic Racing Miniatures (HRM) has recently released their transkit to convert the venerable AMT 289 Cobra kit into the 1963 Le Mans Cobra. Central to this transkit are the special hardtop, shortened trunk opening/lid, and racing wheels. First to build this transkit is Gordon Holsinger who often builds demonstrator models for HRM. Gordon's model of the #3 car is shown here prior to aplication of its racing decals.